I've got a quick one for you this evening because I have to go to bed like a hour ago for work in the morning. 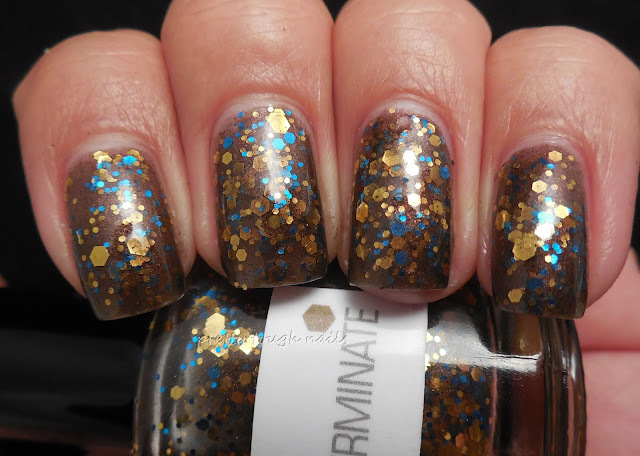 This is Nerdlacquer Exterminate from the Dr Who collection and I love the combination of glitter in this. I wish I'd noticed earlier because I can't believe I let this slide for the past couple weeks without swatching it! 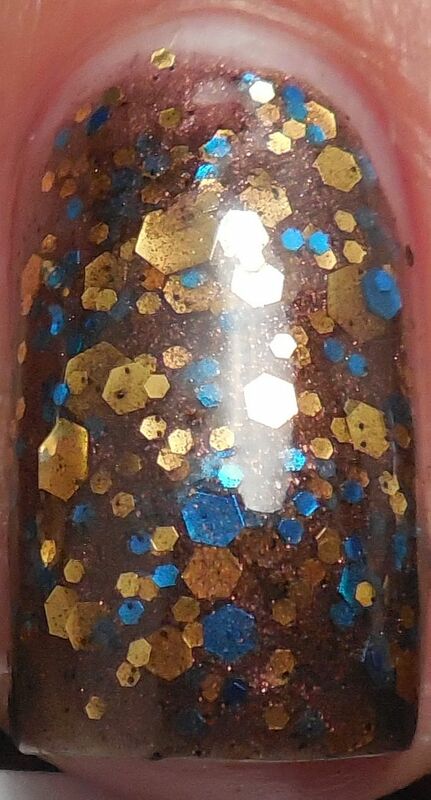 It's a gorgeous brown shimmery jelly with tons of multisized gold and blue hex glitter. 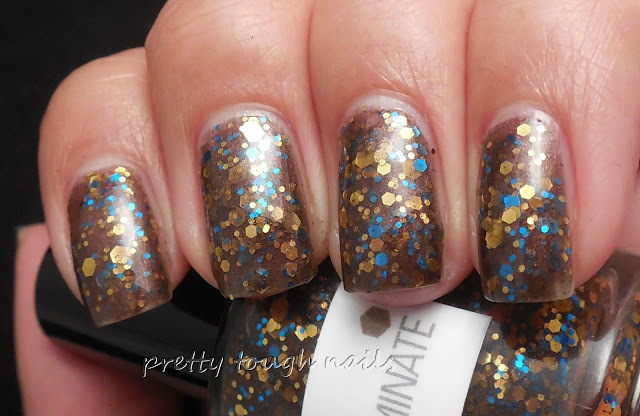 I think my batch may have more glitters than previous releases because the other swatches I've seen show much less glitter. 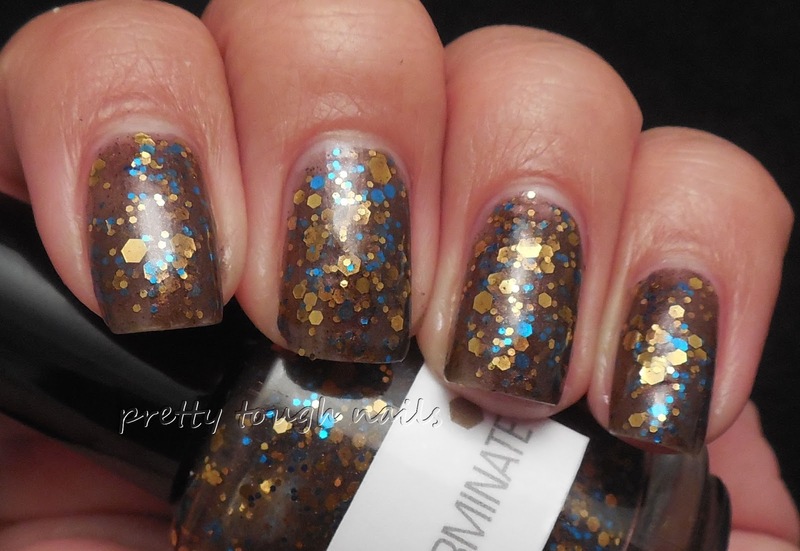 I used two coats and had some slight clumping but that's expected with as much glitter as this has in it. Otherwise it went on smoothly and there was no dragging. This is finished with a coat of Gelous and Poshe. Yum, I love the way this looks like chocolate-y goodness on my nails. The pop of blue is really eye catching as well and compliments the brown really well. I need to swatch more of my Nerds, especially after the past couple 3rd party restock debacles these past couple days. It's always better to enjoy what I already have rather than buying more. Have you looked in your stash lately and used an untried?